Hey, gang. For today’s lesson, I’ve got some great insider info that can quickly help you stalk, uh, I mean, “find” those awesome cash buyers we love – online. Today we’re going to focus on #3 from my list above. Specifically, I’m going to walk you through – step by step – exactly how to search for some major cash players, in order to discover (i) who they are and (ii) what LLC they represent. And I’m talking about both wholesalers and buyers at foreclosure auctions. 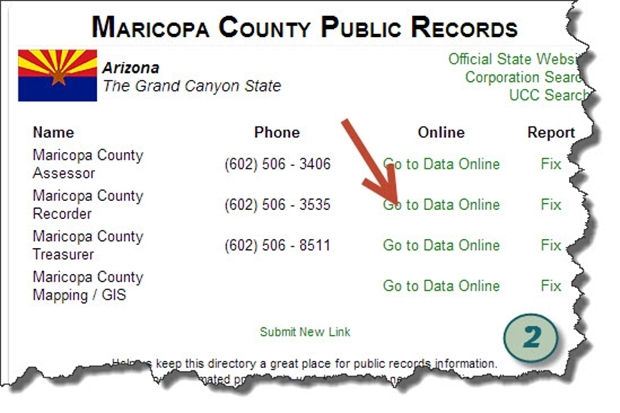 Go to Netronline.com and click on the Public Records Online button. (Pretty easy so far, huh?) 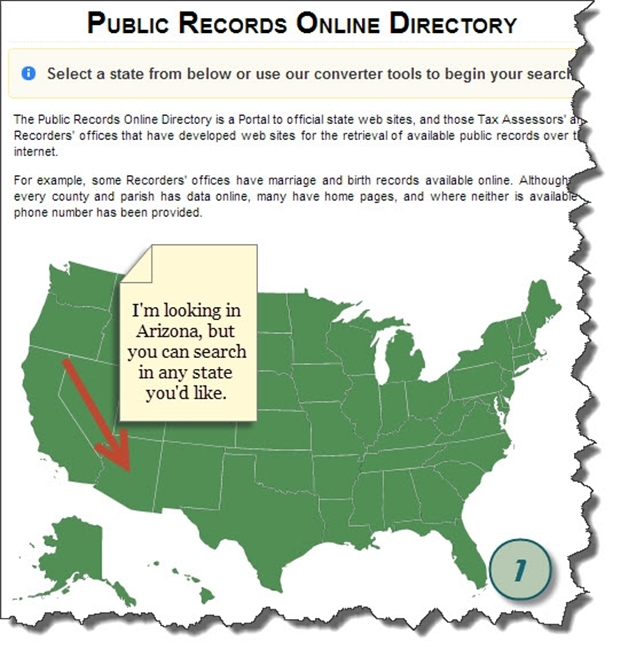 You’ll see map of the good ole U.S.A.
Here’s where it’s fun– you can click on ANY state you want to do business in and search that state’s public records. (Awesome, right?!) I like to search in Arizona, which happens to be a great market for real estate investing. Next you’ll select the county for your targeted search. Recently, I’ve been frequently selecting Maricopa, AZ. Now you have the option to view the public records online. If you want to look up tax records or see what taxes are owed, you’d click on either the link for the Assessor or the Treasurer. But since we’re looking for buyers, we’re going to click on the Recorder’s link, where the red arrow is pointing. 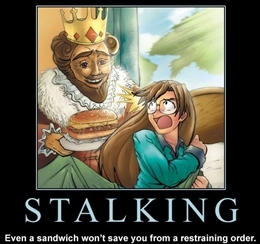 Step #3: Let the Stalking Begin! Now, let the stalking begin! …and the website pulls-up all the records and documents for this company. Bam! Now we can dig into our crazy good list of search results! 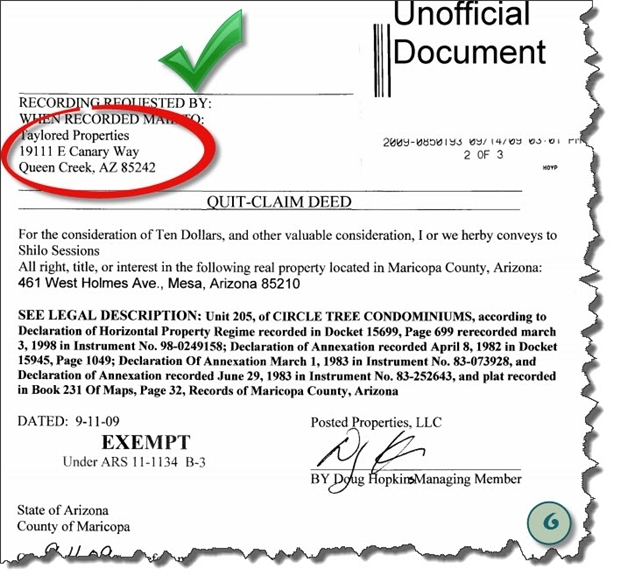 You see, every time this company wholesaled a property onto a buyer/investor who has paid with cash, they used a QuitClaim Deed (circled in red). 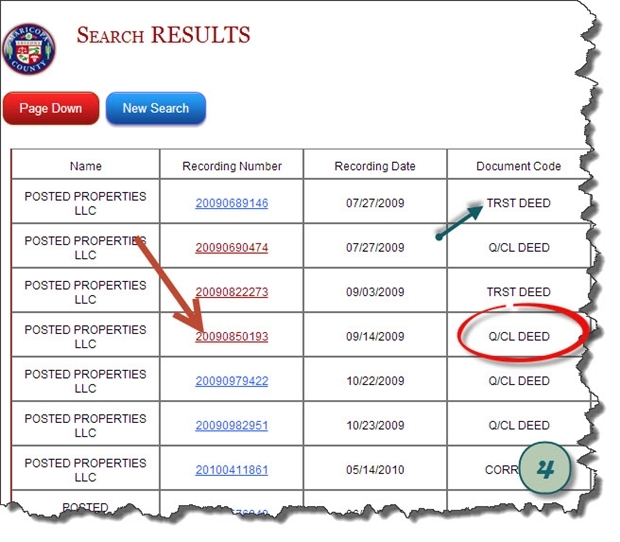 So now, you can search the wonderfully long list of all these Q/CL deeds, simply by clicking on the Recording Number link (red arrow). This page shows us who Posted Properties sold the property to (likely an investor). This is the holy grail, people! We found it! 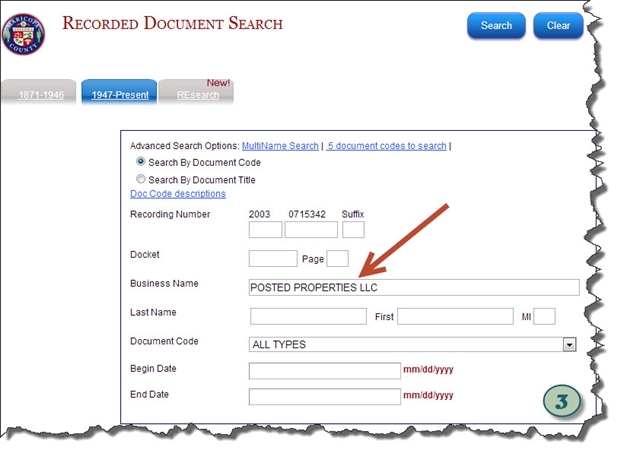 As illustrated below, we now can see the street address to which all the docs were mailed when the sale was recorded! 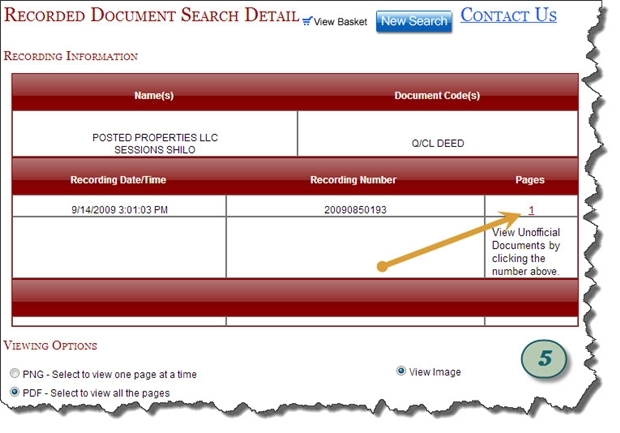 Simply record the street address in your own personal records, and then move on to the next quitclaim deed. With these simple steps, you’ll be able to quickly move through 20 to 30 of these per day. And what does that mean, you ask? Well, it means you can send out 20 to 30 postcards or yellow letters per day! How’s that for an awesome (free) resource? !